Webinars: iQ.Suite – What’s new? 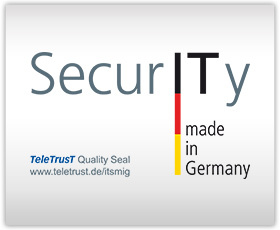 GROUP Business Software AG (GBS) is now a member of TeleTrusT – the German association for IT security. Founded 25 years ago, this network of excellence not only counts important government agencies and institutions, such as Fraunhofer-Gesellschaft, among its members, but also global players, such as Microsoft and SAP. “Against the backdrop of increasing data security requirements and customer demands for elevated levels of security and confidentiality in email communication, becoming a member of TeleTrusT was a step in the right direction for us. Combined with the quality label ‘IT Security made in Germany’, it demonstrates the reliability of our email management solution iQ.Suite to our customers,” argues Andreas Richter, GBS’ Vice President of Marketing. Find more information at GBS and TeleTrusT. The new versions of our email management solution iQ.Suite, which will be available mid-October, are definitely worth a look. The highlights include iQ.Suite WebClient and Update Manager versions 2.0. Please make note of iQ.Suite Anywhere, a combination of iQ.Suite WebClient and iQ.Suite App for Apple iOS, which will be released soon. Already in use in Microsoft Exchange, this feature is now also available for IBM Notes Domino; Windows Event Log for system monitoring is supported. These versions can be found in our download area starting mid-October. iQ.Suite WebClient 2.0 is available through your sales partner or sales@de.gbs.com. 3. Webinars: iQ.Suite – What’s new? Register for these webinars via email at academy@de.gbs.com. The successful Health & Safety series of regional events, organised by Western Business Exhibitions, returns once again to the Bolton Arena. 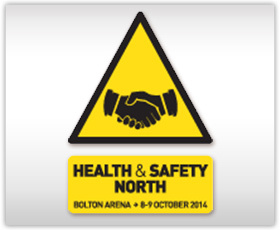 On 8-9 October 2014, Health & Safety North offers visitors a valuable experience in terms of knowledge, the opportunity to meet the industry's most respected organisations and to network with other professionals. These free seminars provide an update on key developments concerning health, safety and environmental policy, law and management. They are delivered by expert speakers at the cutting edge of health and safety. One of the overall messages of the event is that safety should not be thought of as restrictive, but considered as a positive approach to good business management. In this context GBS experts will present their FastWorks Integrated Compliance Management software solution. Come and visit them on Stand G16 and see them showcase the FastWorks solution, introducing the great new features of mobile working and dynamic reporting from our Synaptris IntelliPrint integration.